We first of all needs to get to the basics. I bet you have been hearing about domain names but you have never got a clear cut between what is they are and what’s the difference it has with URL and other technical web names. In this brief, I am going to explain what they are, how they work and how to extract them from URL. Remember recently when it was difficult to establish a system that would identify each computer on the internet and also allow them to communicate to each other? The life was difficult. It is the same as having billions of people in the world but have no way to communicate with each other. To make people talk to each other, people established phone numbers and developed systems to help communicate through these unique identification numbers. This is the same thing with computers, we needed to make sure that computers have a mechanism to identify each other and make sure that they can receive information from each other. In this procedure, instead of starting an old-fashioned phone book, we created DNS-Domain Name systems. DNS is made up of a couple of computers called servers that host websites. I understand that we are now turning to the technical bit of it but you have to put up with it. Every computer in the world is assigned their own address digits called IP addresses. Address numbers are almost the same as telephone numbers which identify each mobile user. What this means is that just as you can identify the phone number user by simply dialing that specific string of numbers, each computer is identified using the IP address number. Now we have to work out the relationship between the domain names and the IP address. The domain name is connected to the Specific IP address that identifies your website. 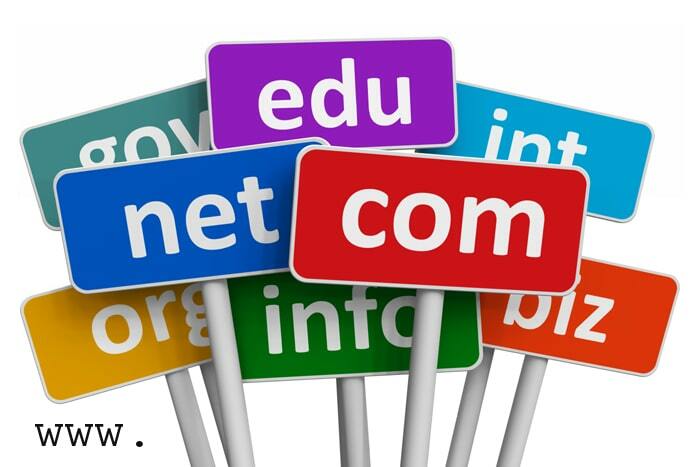 In simple terms, the Domain name is an online address of your website. A good example is Apple.com. This is the name that you should type in on your browser every time you want to reach them. A URL also known as Uniform Resource Locator is a long string of numbers and letters which actually points to a location of a specific page/video or an image. A URL is comprised of a whole set of numbers and letters that lets the browser understand which resource you want . It also helps it understand in which format do you want it represented in. From the URL, the first few letters represents a transfer protocol (https://). This protocol letters determines how the data from the web will be transferred to your browser. What is the use of domain names? There is this thing that I usually ear people talk about which is a mere misconception. I have heard several people say that by registering a domain name, you automatically get a website. I bet this is a total ignorance because that is not how it works. As we have already established, domain names function as online addresses. Actually they are similar to street addresses that make you spot a certain shop, mall, hotel, school or pub. The simplest way to make you understand this is considering a physical address. Knowing a place in Canada doesn’t mean you own a piece of land there. The same way, registering a domain name doesn’t mean that you already own a website. The first thing is to register a domain name and eventually get a hosting plan. After you have got a hosting that matches your needs, you build a website. I usually think that a website is one of the best channels of growing your business. You can never compare the use of social media to what a website can do. Although social media presence is a good investment, it may not provide the same level of interactions with the users or even marketing opportunities as the website could do. Another thing, you can use the domain name to brand your social media presence. You can change the complicated bit of your business social media page by simply using your domain name as the web address for the social media visual contents. In technical terms, this is called redirecting or web forwarding. The main reason of web redirecting is to give you an easy-to remember online address which will eventually help you brand and use it in your marketing efforts. Domain names are very useful in growing the business. The other thing is setting up your company-branded email address. Domain name serves as an online address and hence it can be used as an email address. Creating an email from your domain name can foster a more professional outlook to your customers out there. There was a survey that was carried forward in 2015 that give a crystal clear proof that most people trusted a professional business. In the survey, 74 percent of all the people who were interviewed said that they trusted a company-branded email address more than those free email addresses. You are supposed to know that because the internet is based on IP addresses and not domain names, there is need for every web server to have a Domain Name System server which will help translate domain names into IP addresses. The general formula for getting Domain name from URL is =LEFT(url, FIND(‘’/’’, url, 9)). A formula that uses the ‘’LEFT’’ and ‘’Find’’ functions can really help you to extract the domain name from a complete URL. In the generic form established above, the url is the URL you are working with. I am going to give an example but I will use the above formula. I am going to show you how the formula works. Assume you contains a URL such as https://exactlife.net/yoga-styles Using the above formula, the formula is extracting characters from the URL, it starts from the left and later use the ‘’Find’’ to determine how many characters you are going to extract. I have already established that you are supposed to start from the 9th character. What this means is that the protocol is actually skipped. The ‘’FIND’’ function will return the location of the 3rd instance of ‘’/’’. This is usually the first occurrence after the two fold slash in the protocol. In our example, the 3rd occurrence of ‘’/’’ is the twenty first character. What this means is that the FIND function returns to 21. After you have established the Find function, the LEFT function extracts 21 characters from the original URL starting from the left side. What you get after this is the domain name with a sprawling slash. There are several other tools that can be used to check for extracting domain names from a text or an URL. One of them is Ultimate Domain Extractor. If you want to extract domain names from any link, URLs, HTML, XML or any other format using the Ultimate Domain Extractor, the process is easy. You can follow the below guide and you will be done. Copy and paste or even type any text. You can type it on the search domain space on the website. This is what helps you find any domains and subdomains in any texts, CSV, HTML, or XML. You can extract domain names from anywhere you want with Ultimate domain extractor. This will parse domains and domain extensions from any text you enter or any files you have. The domain names already extracted will be sorted alphabetically. What am trying to mean is that using the domain parser to extract domain names is easy. As I have already established, you can paste text in to the text box, sit down and wait for the domains and subdomains. URL domain, It works to extract domains from URLs (Web links), as well as its respective subdomains. It is a completely free packed with professional power. In addition to its primary objective, you will be able to disregard IP URLs, remove duplicates domain, sort the results in numerical and chronological order, etc. The program is open to a number of different people. This includes business owners with online services, webmasters/website owners, Web developers, online marketers, and search engine optimization (SEO) experts. A great feature of the tool is its compatibility with Google and Bing's "disavow file generator" option. This will allow you prevent the negative effects of certain SEO issues, such as undesirable or dangerous URLs that lead to your own website. You will simply input the links in a .txt file and upload it through the program. What are the TLD/gTLD names used by the program? All TLD and gTLD names the tool uses come from both ICANN and private domains, which are defined through a TLD filter. They are also updated on a regular basis so that the names are always legitimate and can be operated by the script. Which encoding format is compatible? The encoding format of the output data will be UTF-8. 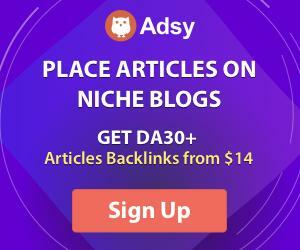 Is the number of URLs that can be checked restricted? In theory, millions of URLs simultaneously submitted probably won't be effective. As long as you don't go overboard with your entries and limit them to under 50k, the tool will perform without any issues. Some submissions will not yield any highlighted text, which means you've submitted too many URLs. If this happens, simply reduce your submission and try again to extract.